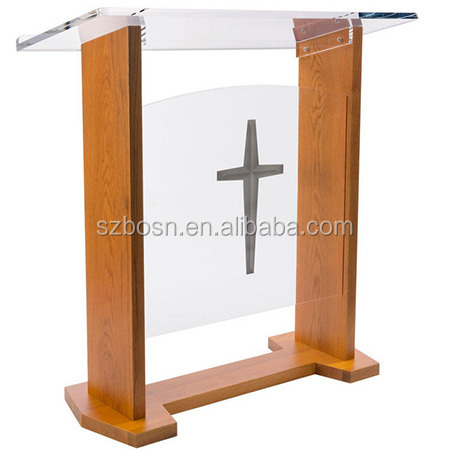 Details: This wide church podium can be utilized in office meetings and lecture halls. The pulpit comes with different front panels. 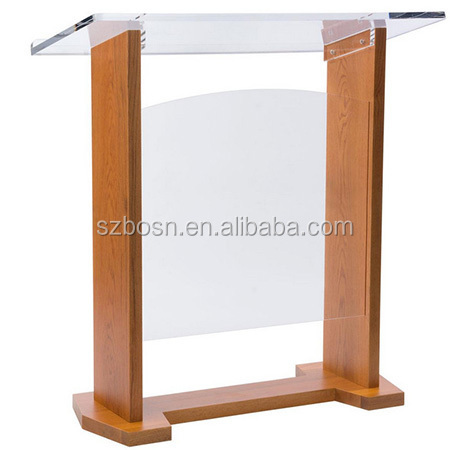 The clear acrylic podium has a large reading surface of 44”w x 19-5/8”d. These wooden lecterns are 46-1/2” tall. Each podium needs two people for assembly. 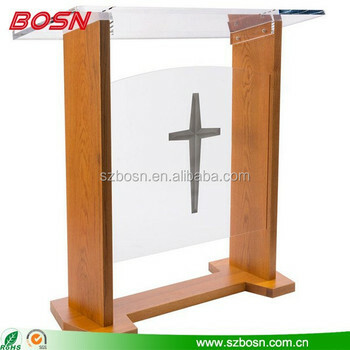 The clear acrylic pulpit comes with all the hardware & tools needed for quick assembly upon delivery. A cleaning cloth is provided with these wooden lecterns for quickly cleaning dirt, dust and fingerprints from the display! Price: We are the manufacturers of acrylic crafts, You can mail to us to get it , and we promise to give you a competitive price. You can contact us to get more information, we are pleasure to service for you, thanks! (3)We have four major department:Sales Department, Production Department, Quality Department,After Sales Service. 2 Put it into inner carton. 4.Put the inner corton into the master carton. Shipping: 1. 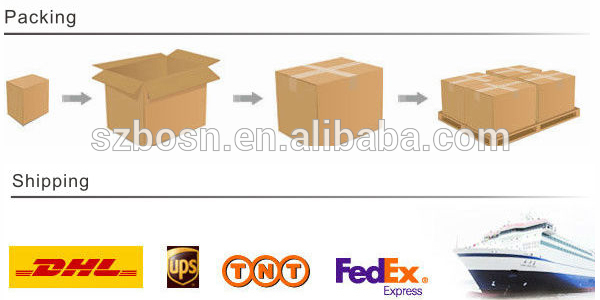 Only four reliable Express Comapny to be choosed,which are Fedex,UPS,DHL,TNT. 2. Customer specified express was accepted. 3. In general,3-7 days delivery,and all tracking status can be tracked on the official website.